Inspired by Cogitasia’s regular blog feature ‘By the Numbers: the data driving Asia’, as the final post in this week’s Indonesia series, I’ve put together a snapshot of developments in Australia-Indonesia relations using figures from this week’s Annual Leaders’ Meeting. The amount pledged by Australia to assist poverty reduction in Indonesia in 2012-13. Funding will support Indonesia’s development priorities in areas such as education, infrastructure and social protection. The number of visas that will be available annually (increased from 100) to Indonesians to work and holiday in Australia. Only a small proportion of Indonesians will be able afford the pricey trip downunder but it gets the ball rolling in helping to build people to people links. The number of new bilateral and trilateral initiatives announced. Charles Darwin University and Nusa Cendana University in Kupang will forge new ties as the Australia-Indonesia schools partnership program (BRIDGE) is expanded this year. 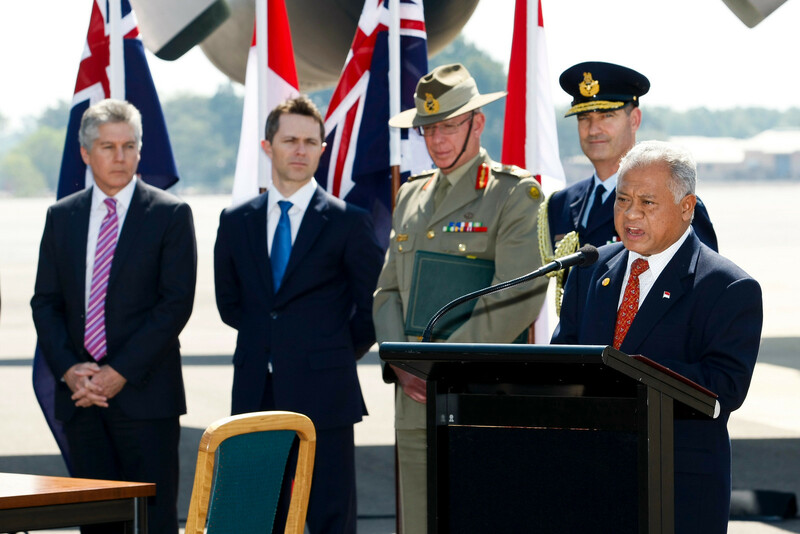 A bilateral table-top exercise between the ADF and TNI—Exercise Garuda Kookaburra—and a new trilateral exercise between the US, Australia and Indonesia (and possibly Chinese observers) will take place in the Northern Territory in 2013. The number of translators ABC News 24 had on hand to translate the President’s State Dinner address in Darwin delivered in Indonesian. Thankfully, this was corrected the next day during Prime Minister Gillard and President Yudhoyono’s joint press conference. Indonesia series posts I, II, III, IV and V.
This entry was posted in Australia, Foreign Policy, Indonesia, TNI by Natalie Sambhi. Bookmark the permalink.